As adults, holidays are fun because it means you have a reason to do more adult things like flirt with your co-workers and blame it on the punch. For kids this usually means…well it depends on the holiday. For kids, Thanksgiving usually means eating random food and gathering with relatives that like to give them kisses on the cheek. 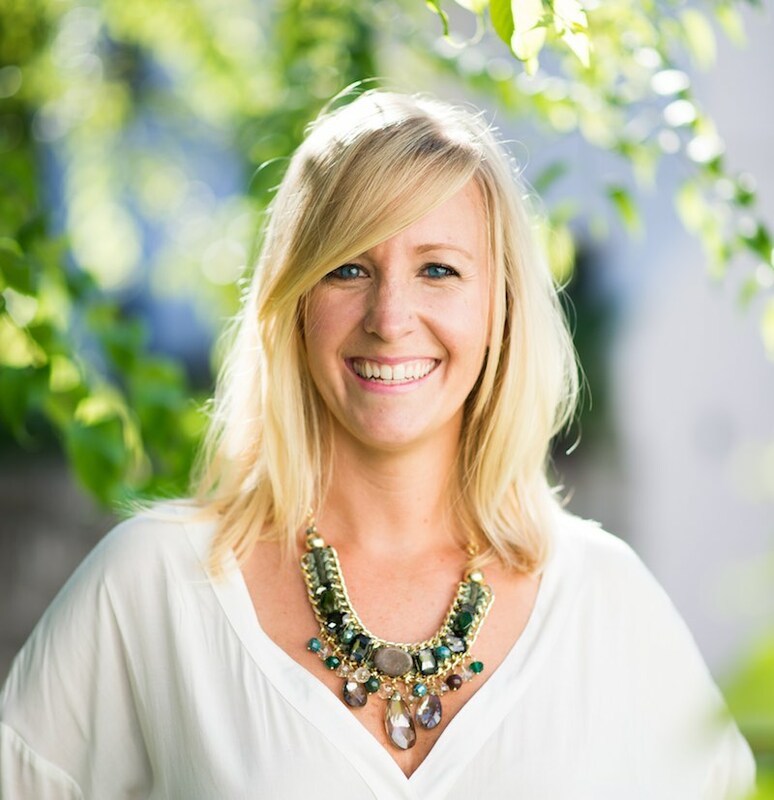 However, it doesn’t just have to be about that! You can actually integrate some fun kids’ activities into the month of November. While you’re getting excited about your Grandma’s gravy, your children can get excited about the cool things they are about to make. Even though these activities are geared towards kids that doesn’t mean they can’t be enjoyable for you as well! Any time you get to sit down with your kids and make stuff it should be considered a great time. As adults, what do we get to make now besides things for people at work? I’m spiraling out of control on adult responsibilities so let’s dive into the kids’ stuff. Turkeys, Pilgrims, corn, and scarecrows. It’s all kinds of Thanksgiving fun for the kids. 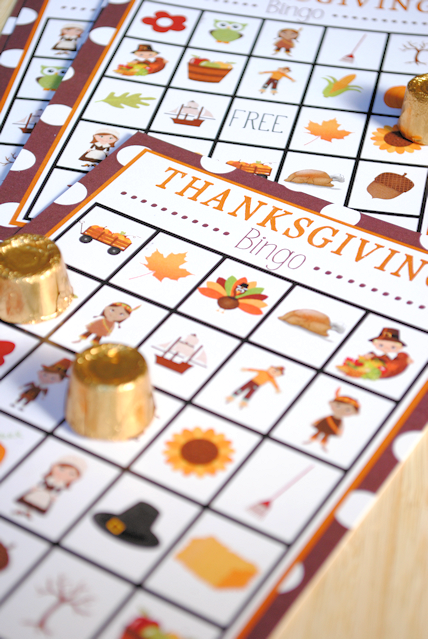 Everyone enjoys playing a game of bingo, especially after a satisfying Thanksgiving meal. Fun fact: I’ve won bingo once and that was in college. I won a TV from it. The TV was the size of a mini-fridge with a screen the size of a new iPhone. I had some good moments with that TV. 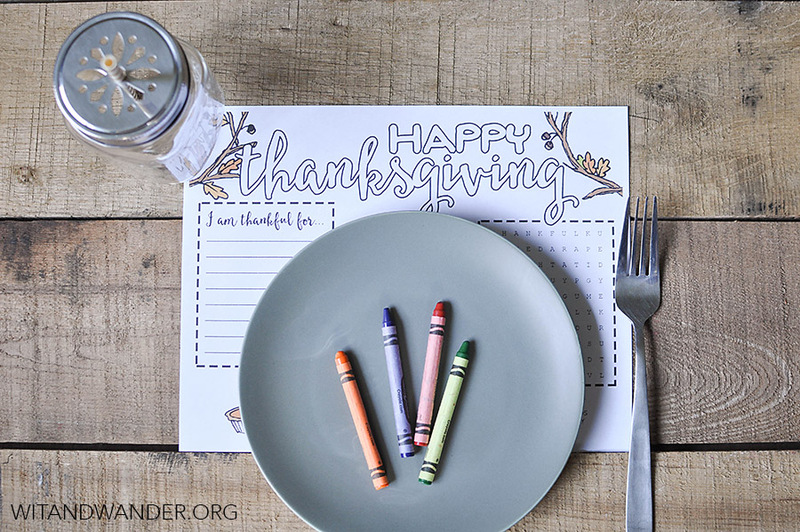 This fun and thrifty craft will keep your kids busy until dinner is served.This turkey art activity is a great extension of the book Run, Turkey, Run! The children’s artwork could be bound and turned into a class version of that book. 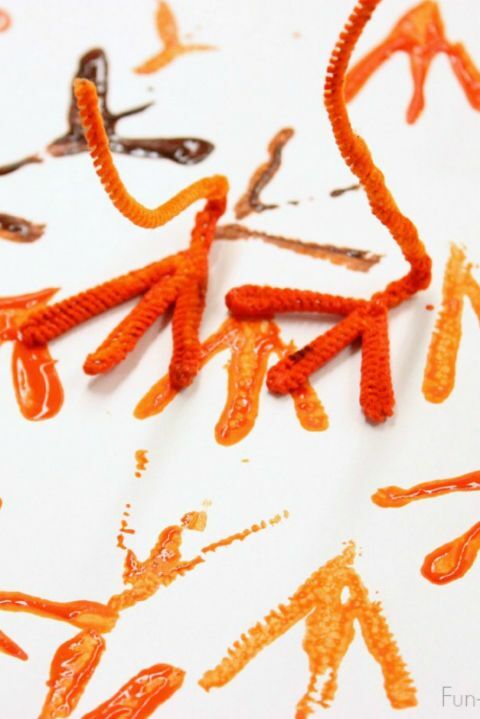 All you need to make the turkey art is a little paint, pipe cleaners, and some paper. You can even add a little more fun and let your kids dip their hands and feet into the paint so it looks like little people are hunting the turkeys! Giving the little one a space to color? 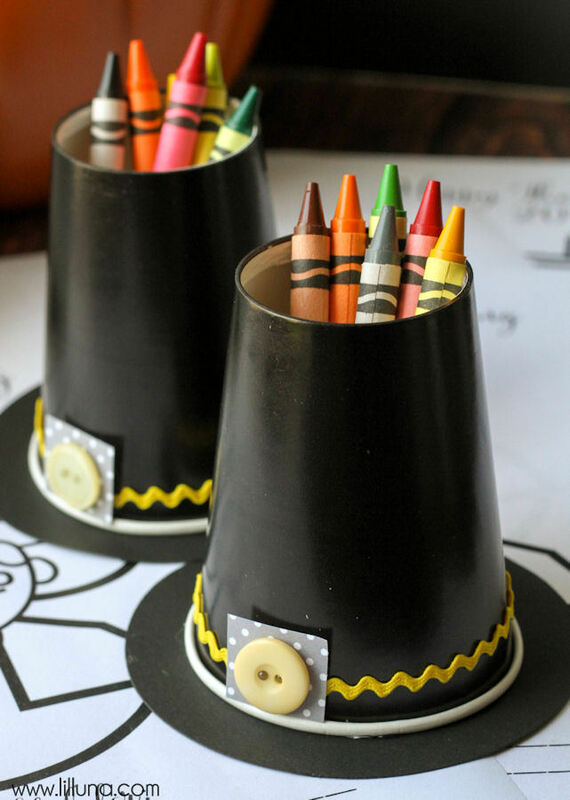 Go a step further to ensure crayons displayed festively, too. These pilgrim hats are made out of paper cups, and you can reuse them from year to year. If you’re forcing your kids to sit at the kids’ table for Thanksgiving then you can cover the table with paper, throw on these crayon hats and let them run wild with things. If you thought napkin holders were too sophisticated for the kids’ table, this adorable tablescape that’s made from felt and ribbon will make you think again. 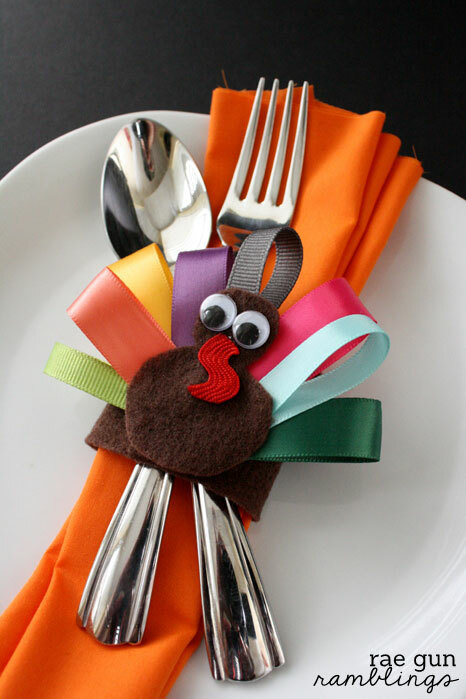 Your Thanksgiving guests will smile during the whole meal at the creativity that your kids possess. Every kid at the table will love this creative project. Plus, it’s the perfect way to use your leftover pumpkin seeds. These colorful pumpkin seeds kind of remind you of Christmas lights right? That means you can easily transfer this activity into one for the winter holidays. 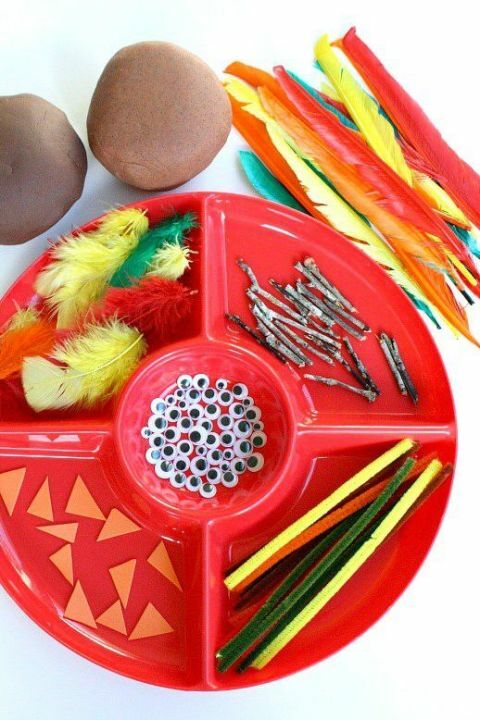 Set out some craft supplies and brown Play-Doh so the kids can create their own turkeys. Of course, if you can’t find brown Play-Doh you can scoop up this Play-Doh 10-pack so the kids can make the turkeys almost any color that they want. 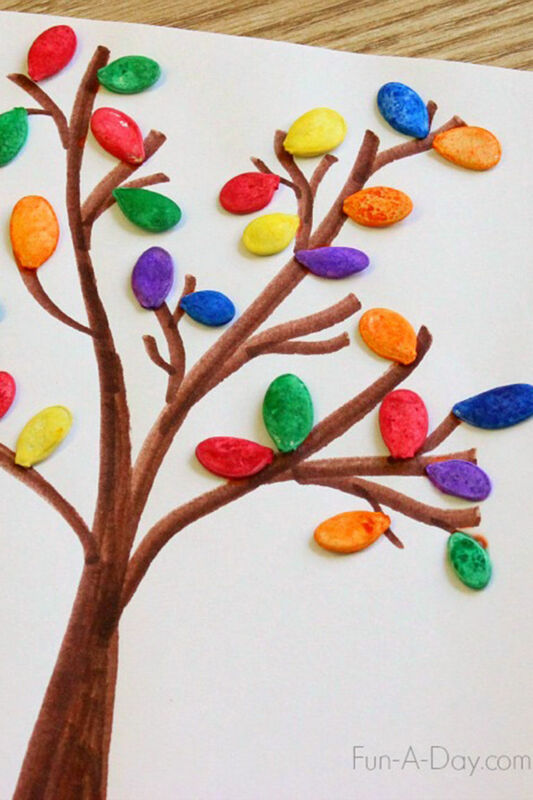 Remind the kids that the holiday is about more than food and football with this pretty paper tree. 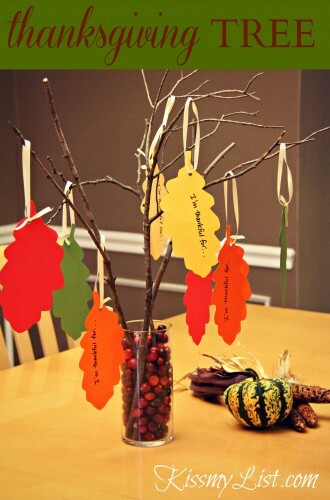 Guests can write down what they are grateful for on a paper leaf and tie it on a branch with ribbon. What I love about this activity is that it gives the kids a sense of accomplishment when they see the big people adding their leaves to the tree. It goes a long in showing kids that it’s possible for anyone to create something that can be enjoyed by others. That’s a pretty cool life lesson. 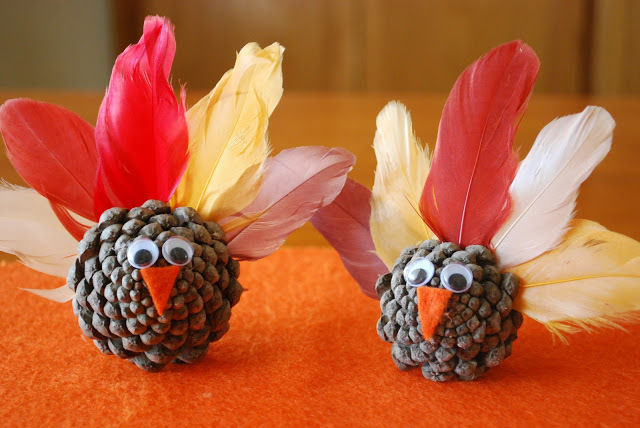 Pinecone turkeys are a cute, easy and fun craft project you can do with your kiddos to create handmade decor for your Thanksgiving table centerpiece. If you live in the right place then pinecones are free so that makes this a pretty cost-effective activity to do with your kids. 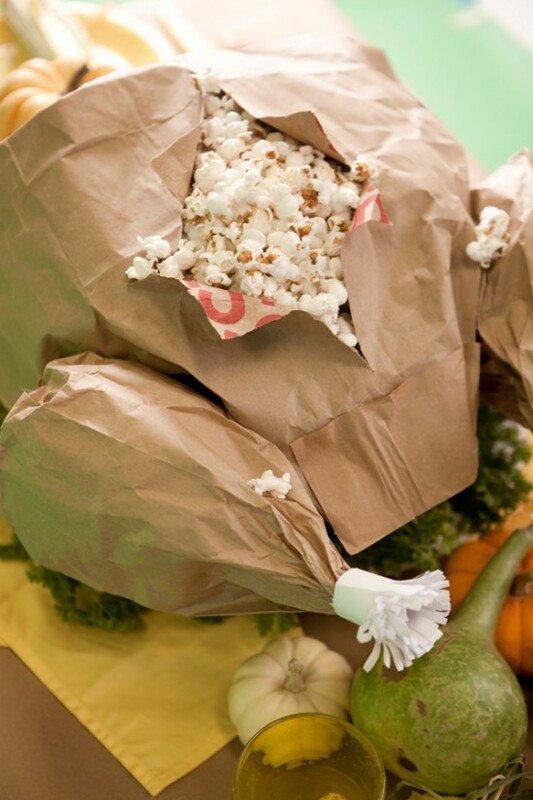 Take turkey to a whole new place with brown paper bags-fashioned to mimic a traditional Thanksgiving bird, but filled with popcorn! This might be my favorite activity on the list due to how awesome it feels to toss your hand into a turkey and pull out some treats. There is just something tribal about the experience. Was that too dark? It might have been but when it’s time for the turkey to go, it’s time for the turkey to go. 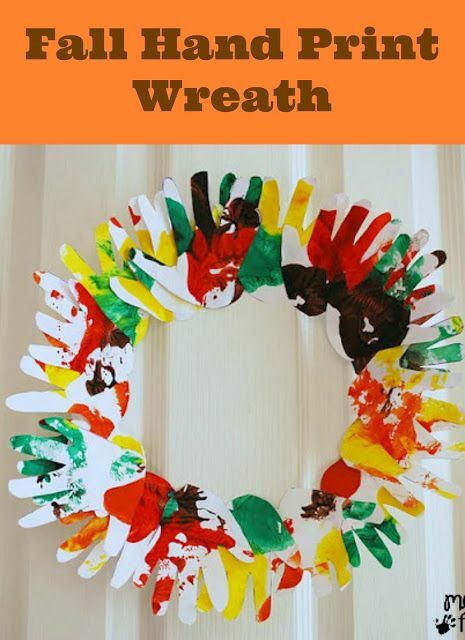 This ‘handy’ Thanksgiving wreath give your child a chance to have a little fun and get a little messy! If you’re adverse to using paint then you might want to stay away from this activity since your kids will want to paint everything in your house with their hands. Now that I think about it, why do we even bother with brushes? Sitting at the kids’ table can be a drag but with plenty of kid-friendly activities and decor, it can be more tempting than the adult table! These crafty placemats can double as name cards and keep the kids busy at the same time. Mix this in with the crayon hats above and you really have an activity that kids can make that also has the reward of keeping them busy later. It’s also a good way to get them off of their electronics and focusing back on doing things with their hands. So as you can see, your children don’t have to associate Thanksgiving with just food and football. They can see it as a time to make fun things with their family. It’s just an added bonus that some of these fun activities get to be used by the adults later.